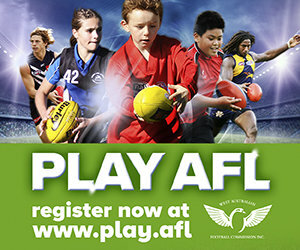 The A Grade League Grand Final will be broadcast live on ABC Radio on Saturday 15 September from 2.00pm. Listen live on 720 ABC Radio, Online or download the ABC Radio App. 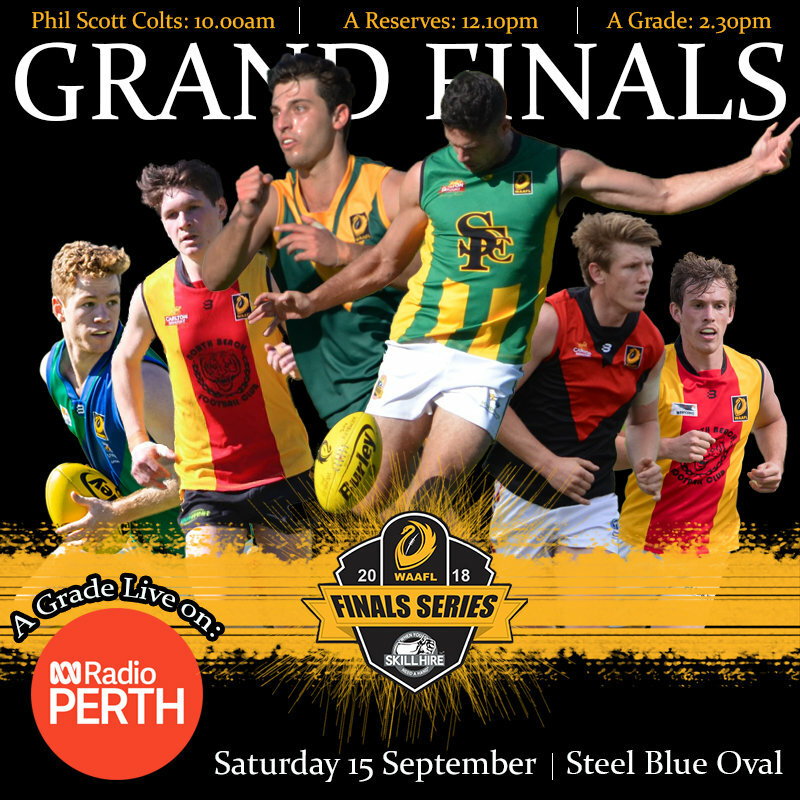 Scarborough and Fremantle CBC will face off in the A Grade Grand Final this Saturday 15 September at Steel Blue Oval, Bassendean. Both sides led the A Grade competition the entire season jumping between first and second on the ladder before Scarborough were crowned minor premiers with just one loss for the year. Scarborough made their second Grand Final in three years defeating Fremantle CBC in the Semi Final to advance straight through to the season decider. After being defeated in last year’s Preliminary Final by eventual premiers Trinity Aquinas, Fremantle CBC made sure history didn’t repeat last weekend when they defeated last year’s Grand Finalists North Beach to make their way into their first A Grade Grand Final since 2003. 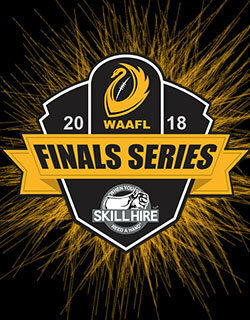 In the finals series they also defeated back to back premiers Trinity Aquinas before falling to Scarborough to set up their second preliminary final appearance in a row. Scarborough last appeared in an A Grade Grand Final just two years ago, after moving up from B Grade they finished as runners up their first season back in the top grade. They were defeated on the day by 12 points against Trinity Aquinas. Scarborough have appeared in seven A Grade Grand Finals for three premierships with their last victory in 1998. Fremantle CBC on the other hand moved back into A Grade at the end of the 2012 season and last appeared in an A Grade Grand Final 15 years ago with their last premiership win in 2000. Before Scarborough took out the second semi-final two weeks ago the sides had met twice during the home and away season with Fremantle CBC winning the first encounter in round seven by 22 points before Scarborough took the second match by 66 points in round fifteen. In the A Reserves North Beach are looking to go back to back after claiming the 2017 premiership by one point over Scarborough. This will be the club’s third A Reserves Grand Final in a row as they claimed the minor premiership this year for the second season. Their finals campaign saw them defeat Trinity Aquinas by 28 points in the Semi Final to advance straight through to the big dance. Their opponents Trinity Aquinas last appeared in the A Reserves Grand Final in 2015 winning the premiership over Fremantle CBC. Their finals series this season saw them defeat Fremantle CBC in the Qualifying and Preliminary Final. Before North Beach took the victory in Semi Final two, the sides had met twice already this season. North Beach defeated Trinity Aquinas by just three points in round one before Trinity Aquinas defeated North Beach by six points in round ten. In the Phil Scott Colts, University will be chasing back to back premiership’s and their fifth premiership in six years when they take on North Beach. Despite University’s recent success North Beach are the only club to have stopped their run of what would have been five premierships in a row. North Beach’s 2016 Grand Final win over University was their first in the Phil Scott Colts division. North Beach finished second on the ladder to University this year but advanced through to the Grand Final ahead of the minor premiers after victories over Scarborough and University in the finals series. University lost to North Beach in the Semi Final by 15 points before defeating Curtin Uni Wesley in the preliminary final last weekend. The sides met twice during the home and away season with University defeating North Beach on both occasions.